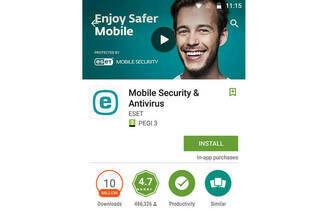 Snapshot: The ESET Mobile Security mobile security app doesn't have anti-theft tools or parental controls. How well does it protect your phone and personal data? Doesn't include remote anti-theft tools. Anti-malware performance – we score each app on how many of 550 malware files transferred to a phone were detected and removed. We also test the app’s ability to prevent downloads on 50 URLs containing malware and its ability to warn and prevent phishing attempts using 500 URLs. Ease of use – including understanding notifications, navigating the app, viewing current protection status and accessing help. We also look at the anti-malware protection tools, such as on-demand scan, scheduled scan and real-time browsing. If the app includes anti-theft features, we also assess setup, activation and use. 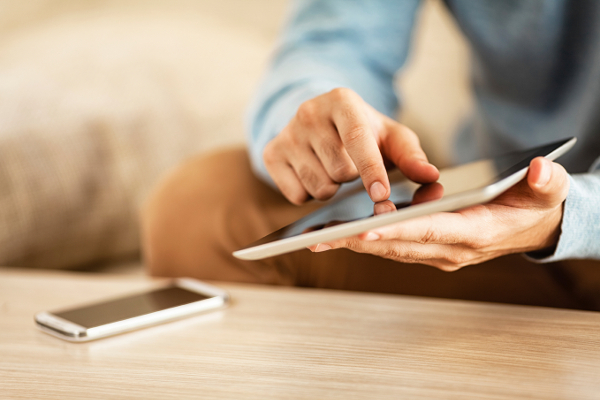 Installation – we look at how difficult it is to set up, whether it performs a full scan of your phone after installation, and what functions and security settings are enabled by default. We also look at how easy it is to uninstall the app. Some malware will attempt to remove mobile security as part of their attack on your system, so an app that warns the user before it’s uninstalled scores well. System impact – we measure storage space and RAM (random access memory) before and after installation to assess how much of an impact the app has. A high score means it had less impact on phone performance. We also assess data privacy and anti-theft features, though they don’t contribute to the overall score. Data privacy – we intercept data transferred from the app and record whether they were going to the company’s servers or third-party servers. We score these transfers based on data encryption. A security app developer should prioritise data privacy, so if any data is sent unencrypted to the developer’s server, the app is marked down. Any sensitive data sent unencrypted to a third-party website will also see the app marked down. Anti-theft – assesses if the device can be remotely locked, located, wiped or factory reset. We also look at whether it’s possible to wipe SMS messages, post a message to the lock screen, and measure the accuracy of location services.